Honasa Consumer Pvt. Ltd, which owns and operates online babycare products startup mamaearth.in, is raising fresh capital from existing investor Fireside Ventures. The company, however, refused to divulge the amount of money it will be raising in this round. According to a company statement, the capital will be used to launch more product categories meant for both the mother and the child. It has already rolled out a range of wellness solutions for mothers such as herbal teas and supplements under the Traditional Recipes brand. 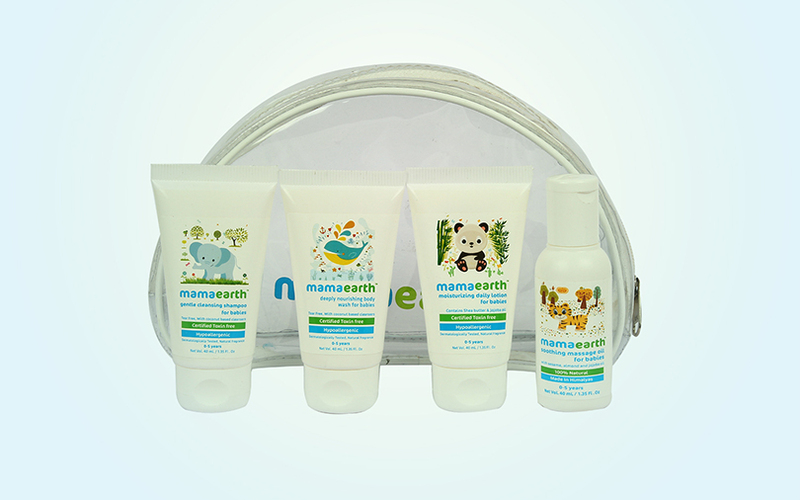 “We strongly believe in the purpose mamaearth stands for – to provide safe and natural products for mothers and children. They are solving a strong latent need in the market,” said Kanwaljit Singh, founder, Fireside Ventures. Mamaearth, which sells its products only through Amazon India and FirstCry.com, focusses on reducing parenting stress and will soon have an array of product offerings for lactation, stress relief and postpartum weight-loss for new mothers. Founded in 2016 by a husband and wife duo Varun and Ghazal Alagh, the startup’s product portfolio includes certified toxin-free body lotions, rash creams, hair-shampoo, body wash, diaper rash cream, massage oil, all-natural bug sprays and sunscreen lotion, which cater to infants as well as children of up to five years. Last December, the company had raised an undisclosed amount in seed funding led by Fireside, besides a clutch of high net-worth individuals. Mamaearth is likely to expand its presence to other markets through brick-and-mortar outlets. It aims to reach out to at least 10,000 consumers in 2017. The company claims that its toxin-free range of baby care products are certified by Made Safe, a US-based non-profit organisation that provides comprehensive human health-focused certifications. In the baby care space, FirstCry has emerged as a strong player, while some of its peers such as Hushbabies had to shut shop. It had acquired BabyOye, the baby care business of Mahindra & Mahindra Ltd in a cash-and-stock deal in 2015. Pune-based Brainbees Solutions Pvt. Ltd, which runs FirstCry, was also in the fray to acquire Gurgaon-based startup mycity4kids.